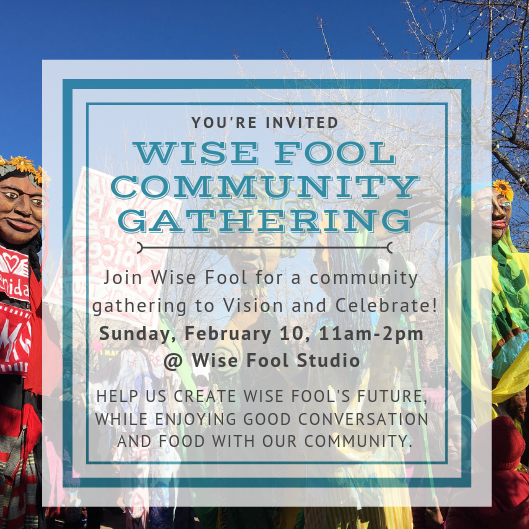 Join us at Wise Fool on Sunday, Feb. 10th, 11am-2pm, for a community celebration and visioning session. What inspires you in your communities? 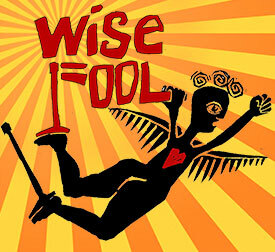 What does Wise Fool mean to you? How do you envision the future of Wise Fool? These are some questions we will be thinking about and discussing, all while eating yummy snacks, playing circus games, making art, and enjoying each other’s company. What inspires you in your communities? 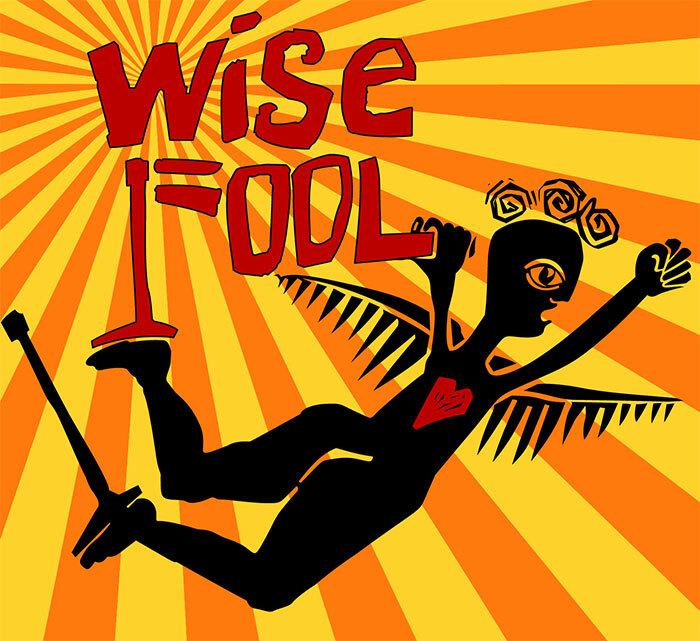 What does Wise Fool mean to you? Imagine what you would like to see happen with Wise Fool - with our educational programs, our performances, and in our communities. What does this look like? Are we already doing some of this? What more could we do? When you think of circus, what do you imagine? What do you see as Wise Fool’s greatest strengths? And greatest weaknesses? During small group discussions, we encourage you to write down, draw, and collage your ideas. Materials will be available for you to express yourself during this time. 12:30-1pm - Body Break - grab a snack, take a walk, play a game - juggling, plate spinning, hoola hoops, and art supplies will be available for play! We will ask for volunteers to speak about what their groups talked about and add “leaves” to our giant puppet idea tree. The “leaves” can be words, drawings, or collage that were created during the group discussion, body break time, or during the share out. There will be a follow up email sent to all participants after this visioning session to share actions Wise Fool is taking based on ideas from the gathering.